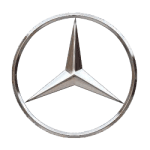 At LittleGreenCarLeasing we’ve got some amazing car leasing deals for Mercedes-Benz. Mercedes are seen as up market class cars. Their styling is excellent and their durability is respected around the world. When you meet a Mercedes driver who is driving a classic, they will get great pleasure in telling you how many miles it has done, which will often be over 100,000. Mercedes have created a range of cars that combine styling, power and reliability. Status is guaranteed with a Mercedes, but you can still get one at a reasonable price, check out our best buys.